So I had the brilliant idea of making a spa crochet gift package. I started with these sweet, reusable, washable, crochet face scrubbies and then a horrible thing happened. I didn’t want to give them away. So guess what? I kept them! Sometimes I do that. I probably secretly had that in mind all along because this lovely blue matches my beach themed bathroom just perfectly. 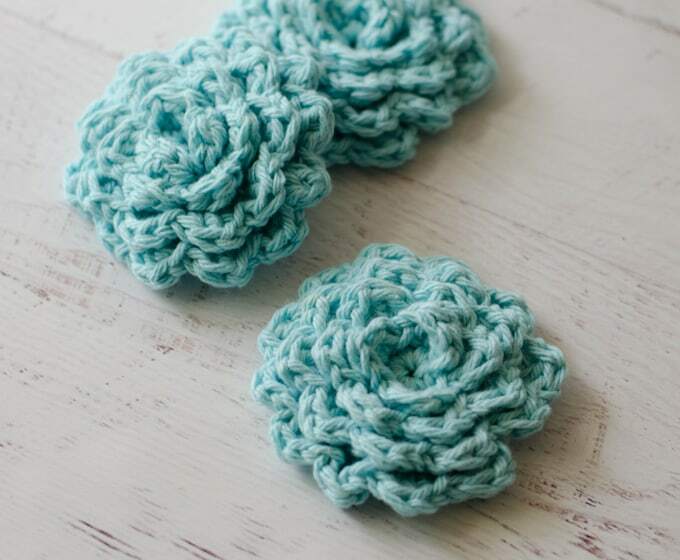 I found a lovely crochet cleansing pad pattern by Kara over at Petals to Picots which you can find here. Hers is a very fine pattern and you might enjoy making it. However, I decided I wanted petals that were a bit more defined, so here is my variation. 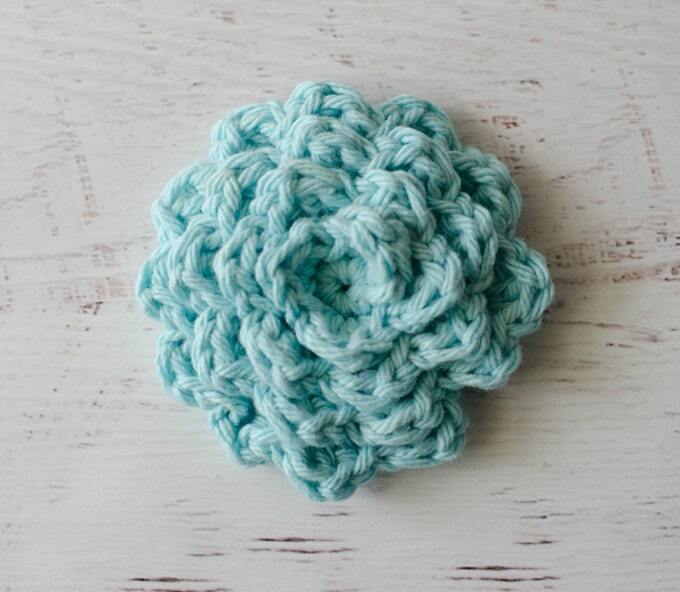 If you don’t want to use it as a scrubbie, it would make a very beautiful flower for embellishing as well. Rows 1-4 are worked the same as in Petals to Picot’s pattern, working into the back loops of rounds 2 through 4. Petal Variation: Fasten off and then rejoin yarn to the first unworked loop from row 1. sc in 1st stitch as joining, *[hdc, dc, hdc] in next stitch, sl stitch in next st. Repeat from * working in every unworked front loop through round 4. Sl st in the next st and fasten off. Weave in ends. Ta Da! 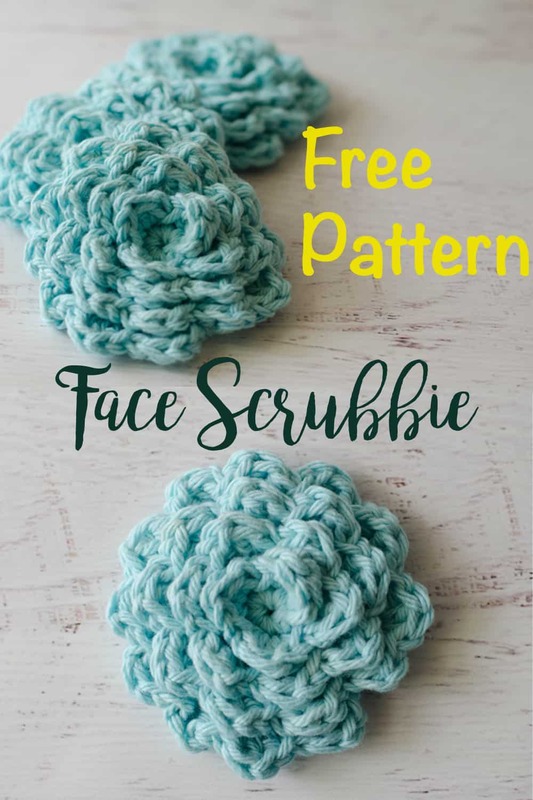 You’ve made a beautiful floral crochet face scrubbie! I like your variation on the petals! I make mine a little bigger by adding three more rounds. I will try your idea! These are so pretty!